Wellhead Control Panels (WHCP)-IVS Flow Control Co., Ltd.
Wellhead control panels / emergency shutdown systems are used for the control, monitoring and safety of surface and subsurface controlled safety valves (typically as SSV, SCSSV) for oil & gas fields to ensure the safety operations of unattended wells/platforms. 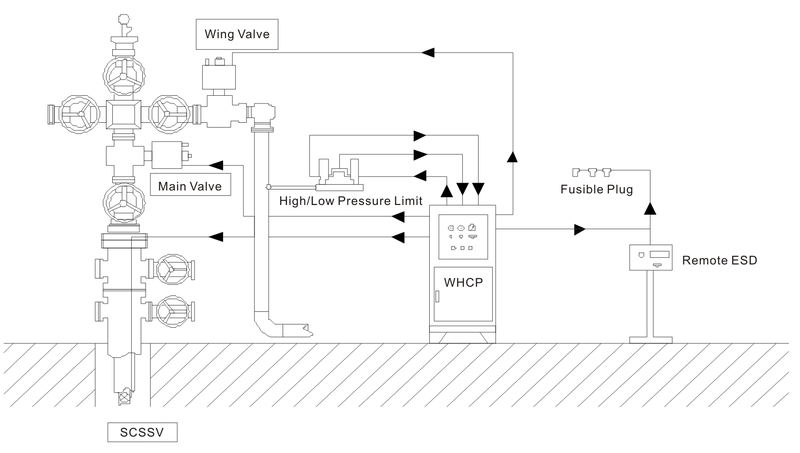 Operating environment can be onshore, offshore or artificial islands, including the harsh environment such as desert, or the fields that feature high pressure, high-yield and high risk. ·Pressure Data Acquisition:The explosion-proof transmitters are used for pressure data collecting & monitoring to hydraulic control loops, casing /oil pipes and other process pipelines. ·Temperature Data Acquisition:The explosion-proof transmitters are used for temp data collecting & monitoring to casing/oil pipes and other process pipelines. ·H2S Detecting:The H2S detecting instruments are employed for the gas density detection and raising the alarm to well fields & panel internal space. ·Combustible Gases Detecting:The gases detector is employed for the gas density detection and raising the alarm to well fields & panel internal space. ·RTU:Used for various signals’ data collecting and transmitting to such as pressure, liquid level, temperature, flow rate and valve positions of control panels and well fields. ·N2 Supply:Mainly served as backup gas source for control panels, such as the driving gasforair-operated pumps and recharging of accumulators.